Born into the glass studio, Nicholas Cash Nourot's early years were full of hours of playing in the studio and watching his parents create their work. 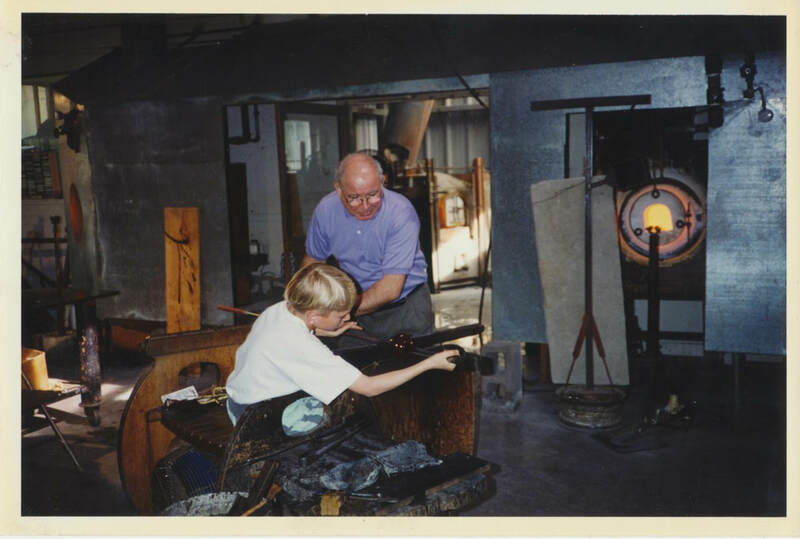 At the young age of 6, Nicholas had already been designing glass pieces and executing them with the help and supervision of his parents and older sister. He was quite content to sit in the studio and watch for hours. One of the highlights of his early years in the Nourot studio was the honor of having a private lesson with master glass-blower Lino Tagliapietra. Lino was in town with Dante Marioni for the 1994 G.A.S. conference, and had accepted an invitation by Micheal Nourot to demonstrate in their Benicia Studio. "It wasn't until my teenage years that I had the size and physical ability required to make larger vases and more refined shapes. I would demonstrate for the studios patrons at our annual open house, and even have people take home my first works." The time came for Nicholas to get a job, and the only one he wanted was in the studio. Assistant to several artists in the studio including his mother Ann, Nicholas started to learn the process even more thoroughly. By the time he was sixteen, he was creating large scale vases that were always a bit different than what his parents made. A huge draw for him was the technical challenges that come when working in a team to create a piece that was on center and had a beautiful appearance as well. 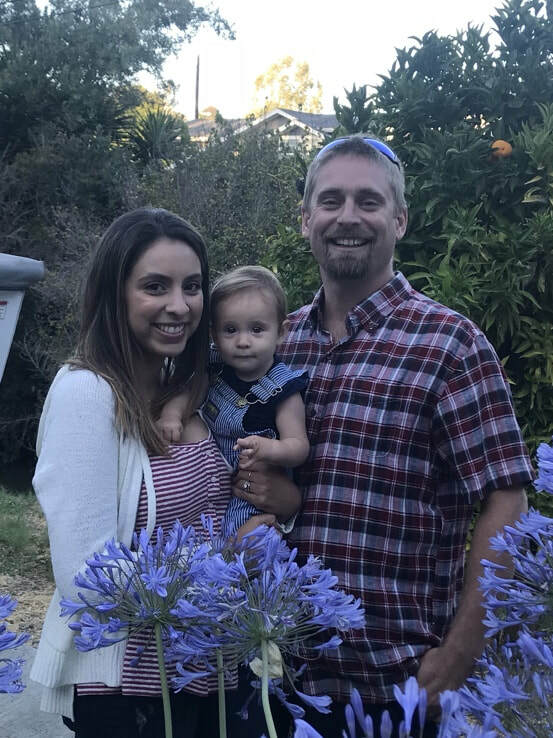 After graduating from Benicia High School in 2002, Nicholas moved to Eugene Oregon to study and teach at the Eugene Glass School. Working closely with Charles Lowery he was inspired by new techniques he hadn't been exposed to in the family studio. During this time Micheal Nourot came up to Eugene to do a demonstration with Nicholas. Also while at the Eugene school Nicholas was exposed to the Italian style of goblet making, which would influence his journey later. In 2004 Nicholas went to Seattle to look for a job in the glass industry. Having fallen in love with the Northwest, Nicholas was reluctant to move back to California, but in the fall of 2004 he returned home to learn more about the family studio. While working part time for the family shop, Nicholas also taught at San Jose State University under professor Mary White. There he was fortunate enough to be around for the 40th annevesary of the SJSU glass program, at which he was able to meet and assist Fritz Drisbach. The summer of 2005 Nicholas was jurried into a James Mongrain venitain goblet making course at the famed Pilchuck Glass School. This course exposed him to a level of technical ability with the glass he had yet to see. "James Mongrain is one of the most skilled glass people I have ever worked with. He blew cups for four days straight without making a single mistake. On the fourth day he dropped one by accident and I almost couldn't believe it. Being exposed to so many different masters with different styles at such a young age was a true blessing." 2006 saw Nicholas taking on a lot more responsibility at the Nourot studio. He began making some of the production pieces at the age of 22. Also showing great interest in how the red glass formulas were made, he began working as the batch maker that year as well. Micheal and Nicholas worked together to create some of the largest and most technical pieces of that time period. Bringing in knowledge gained on his travels, Nicholas started to build new equipment and adjust the old to make the larger scale work Micheal had been gravitating towards more achievable. 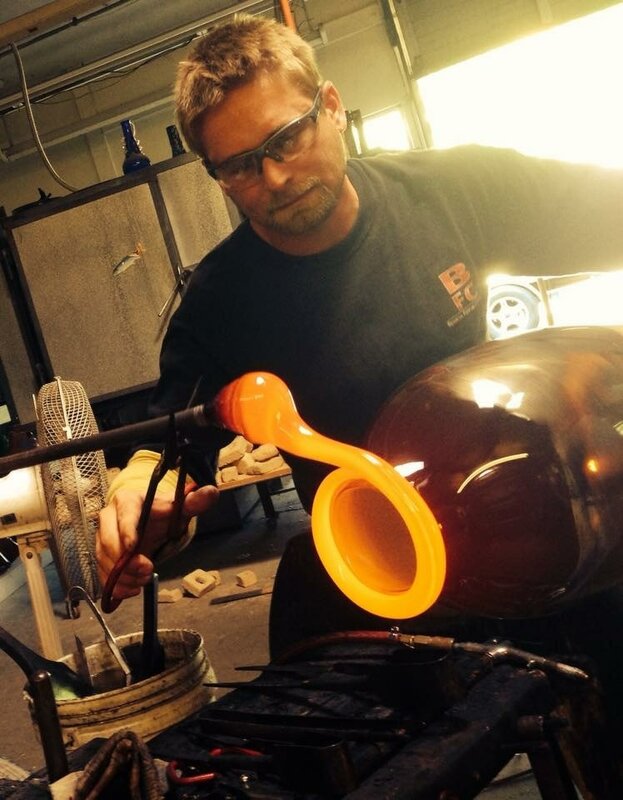 After Micheal's retirement from glassmaking in 2012, Nicholas began to make his fathers pieces as well. The next few years saw Nicholas introduce new patterns and shapes to the Nourot line. He also moved into installation work, completing a collaborative project for the City of Benicia with other local artists. Another notable installation project during this time was a series of platters commissioned by Northbay Healthcare. Following Nicholas' mother's retirement from glass making in 2016, it became time for Nourot Art Glass to find a new place to call home. Nicholas moved the gallery a few blocks west to the heart of downtown Benicia. Completing his transition to the position of head gaffer for Nourot Art Glass, Nicholas continues to search out new ways to share his talent with glass with a broader audience of art lovers.